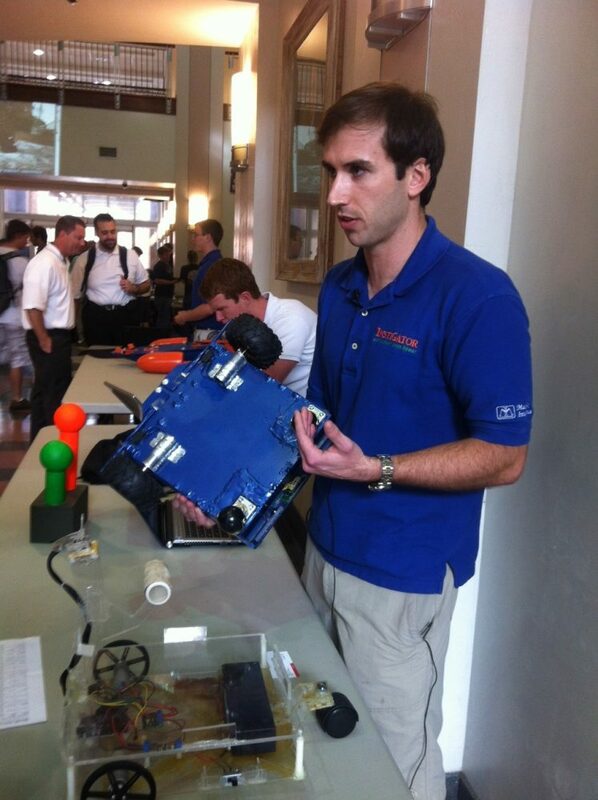 The University of Florida’s College of Engineering showed the public what robots can do on Wednesday. Eric Schwartz, associate director of the Machine Intelligence Laboratory, said UF students’ past robots have won world championships in the past, and this semester’s creations are equally captivating. Schwartz said he is always impressed with the great work produced by students like Andrew Gray and Ilan Eskinazi. He noted that the students made these inventions in just one semester and hopes they will continue the work.